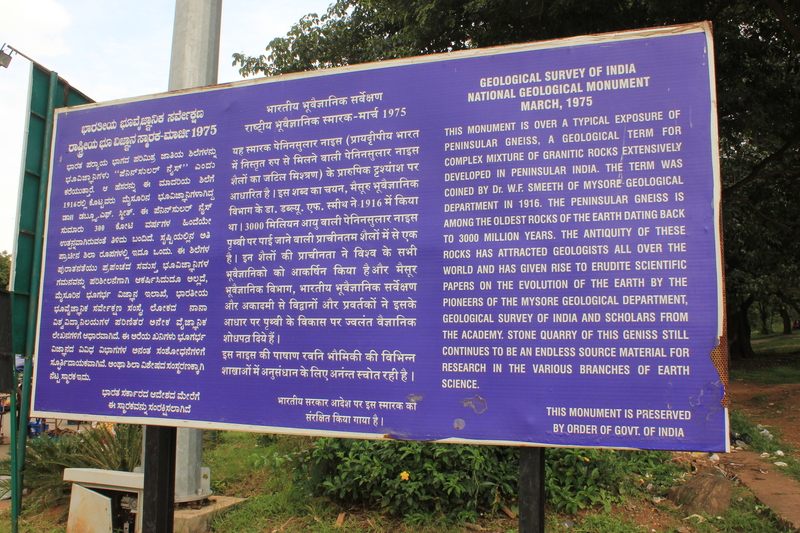 A Saturday afternoon Heritage Walk through Lal Bagh turned out be a treasure trove of discoveries. The walk organized by heritage walk and tour organizers Bengaluru By Foot showcased the famous botanical gardens in a unique perspective that focused more on the architecture than on the green wealth. 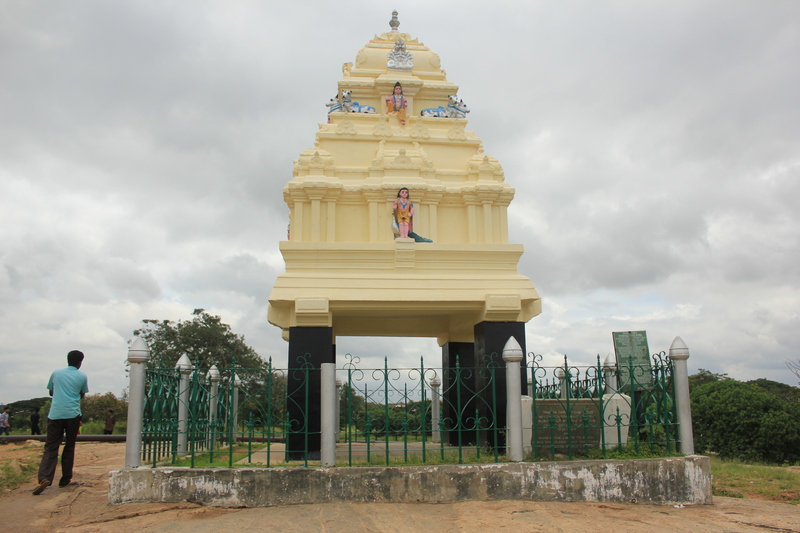 The journey began at the Kempegowda Watch Tower. 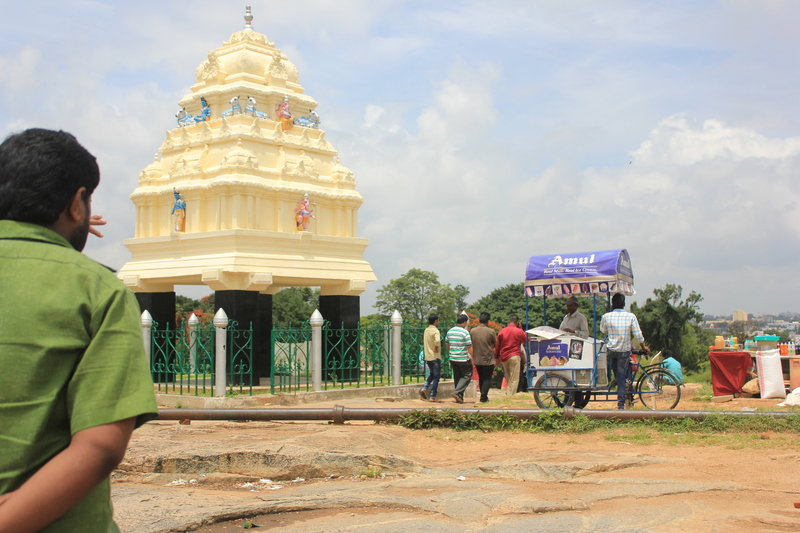 This is one of the seven watch towers constructed by Kempegowda, a chieftain attached to the Vijayanagar kingdom and the founder of Bangalore, in 1537, to mark the boundary of the city. Today, only four of these towers stand. The other edifices are at Ulsoor Lake, Hebbal and Basavanagudi. The one at Lal Bagh is not the original structure though. 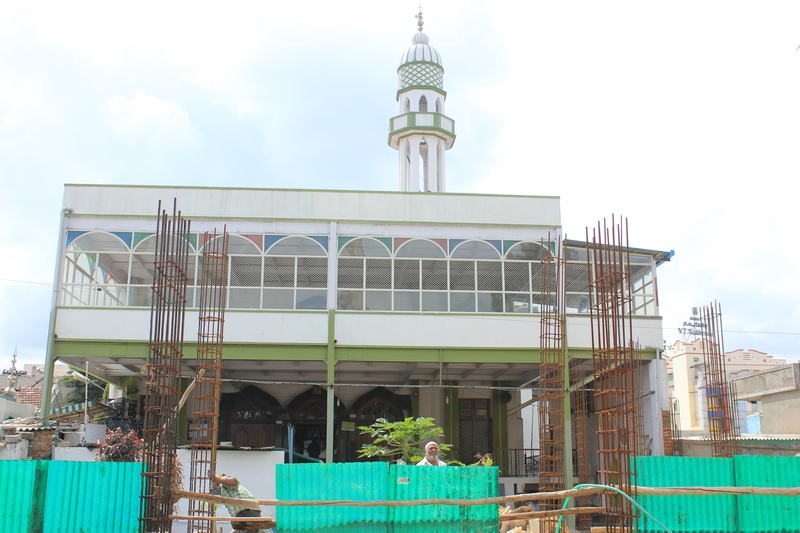 In 1960, the original structure was brought down to make way for the tower that stands today. Highly surprising considering that the old tower was in good condition and hardly merited being razed. Talk is that the then Chief Minister of Karnataka Kengal Hanumanthaiah, more famous as the architect of the Vidhana Soudha, did not know what to do with the huge amounts of granite that remained after the construction of Vidhana Soudha and that led to using a fraction of them in the construction of the tower. 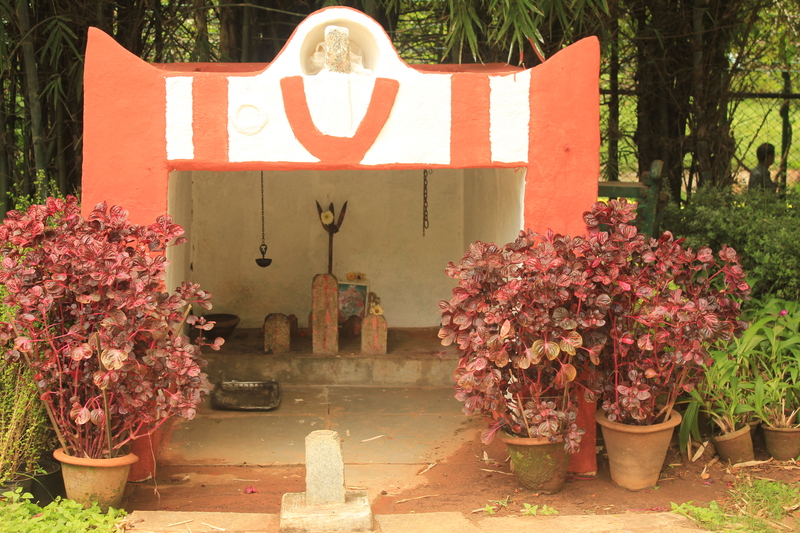 During the time of Kempegowda, it was predicted that the growth of Bangalore beyond the towers would spell doom. The words have turned out be very prophetic considering the large scale environmental and heritage destruction the once pristine green city has been subjected to. Our walk leader showed us very old pictures and paintings of the views from the tower. A painting by Claude Martin that had a view of Tipu Sultan’s cypress garden caught the eye most. The land (or jagir as it was called then) where Lal Bagh stands has changed hands quite a few times. It belonged to Kempegowda from 1537 to 1638; the Bijapur sultans under Shivaji’s father Shahaji then took over in 1638 after defeating Kempegowda in a battle; in 1686, the Mughals under Qasim Khan annexed it from the Bijapur sultans only to sell it off to the Wodeyars for 3 lakh rupees. In 1760, Hyder Ali who had by then proclaimed himself as Sultan of Mysore took over the jagir. Hyder Ali developed three gardens – Mavalli near Kanakapura, Lal Bagh (or the red rose gardens) at Srirangapatna and Lal Bagh at Bangalore. 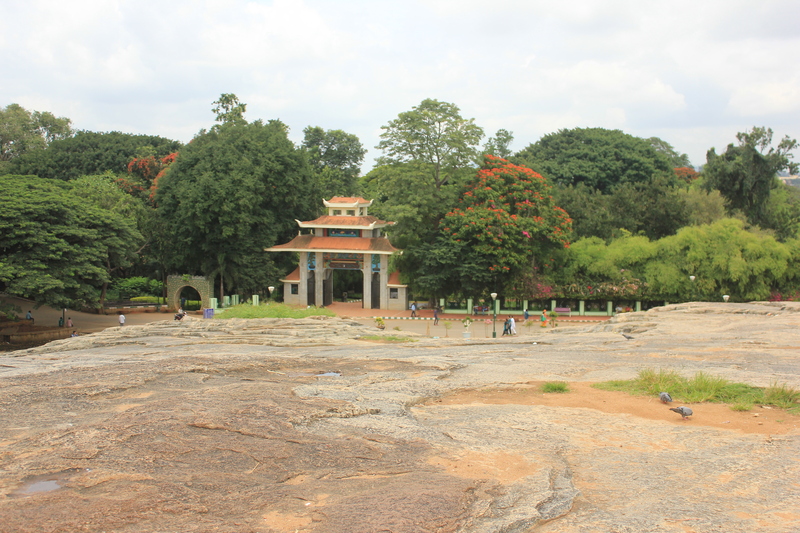 Lal Bagh was modelled on the Mughal concept of Char Bagh and on the same lines as the now non-existent Mughal gardens called Khan Bagh at Sira in Tumkur district. Whatever happened to Khan Bagh, no one knows. 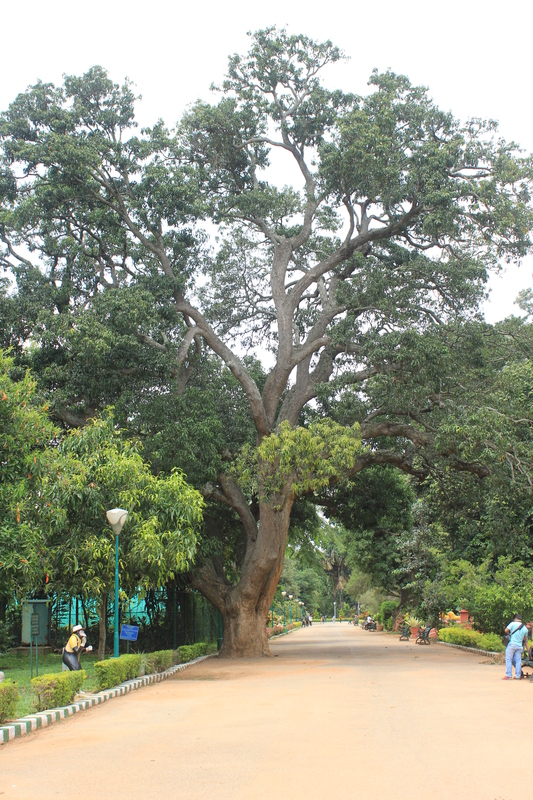 The several species of trees at Lal Bagh were procured by Tipu Sultan from all over the world. 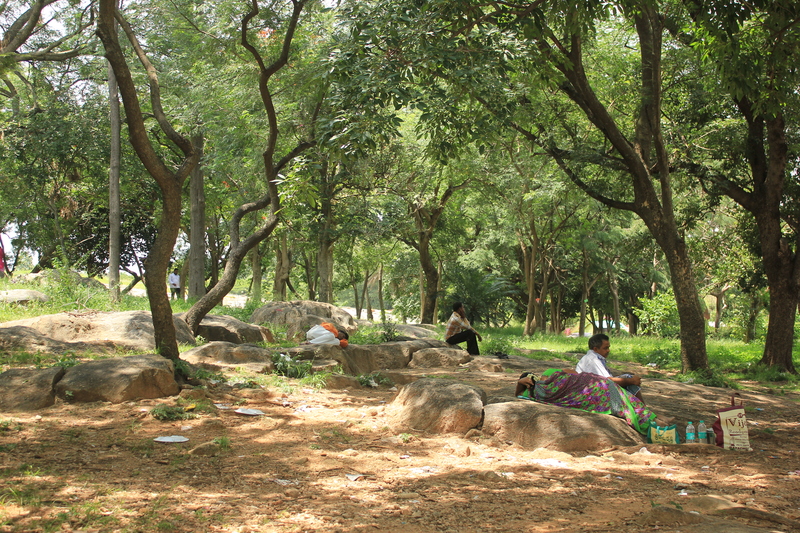 Numerous times on the Lal Bagh rock, the walk leader asked why Hyder Ali decided to have a garden outside the Pete (fort) and Palace. Wasn’t it strange? 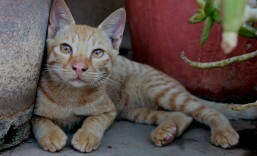 I suggested that it could be because of availability of water. Well, that was not the answer 😦 . To know the answer, we would have to wait (hmmm). 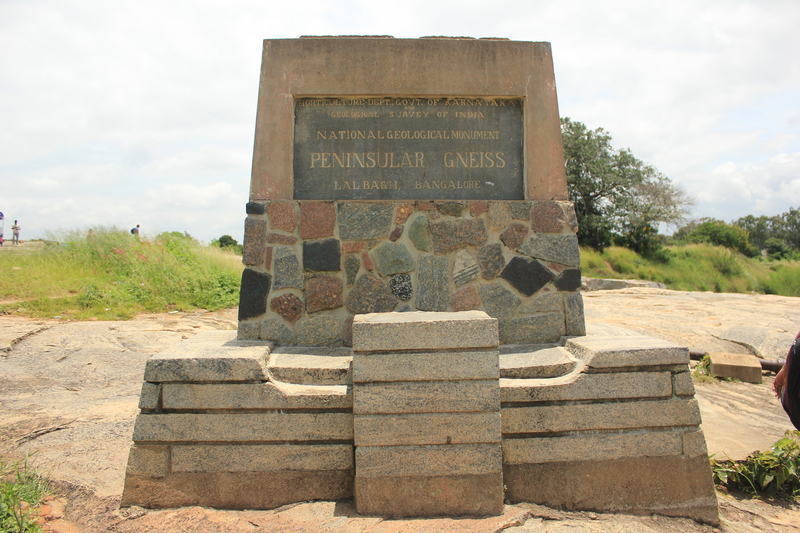 The majestic rock or Peninsular Gneiss that supports the Kempegowda Tower is estimated to be around 3 billion years old. The British took over Lal Bagh after the defeat of Tipu Sultan in 1799. 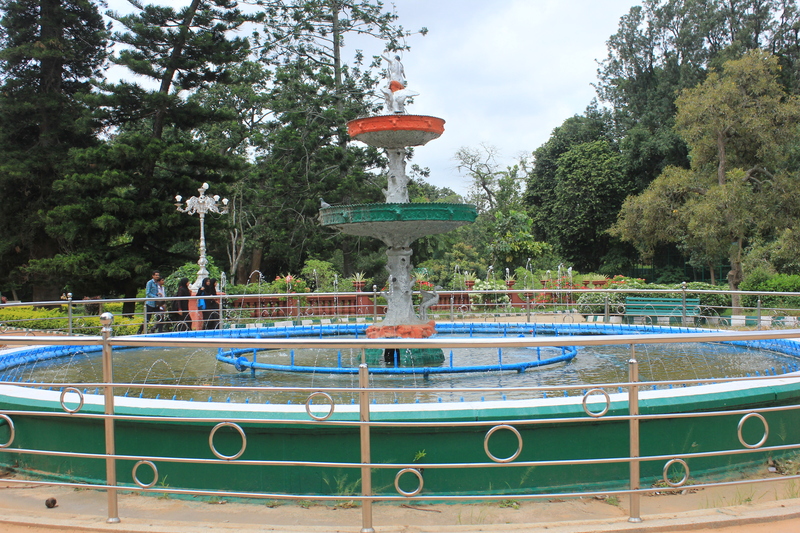 A lot of personalities have shaped Lal Bagh into what it is today. Some of the stalwarts are Gustav Hermann Krumbiegel, a German botanist; Lord Mark Cubbon; Rao Bahadur Javariah and Dr M. H. Marigowda all of whom have served as Director of Horticulture at the gardens. Other lesser known names are Major Waugh, the first superintendent; Haines who also conducted research on potatoes; and Cleghorn. 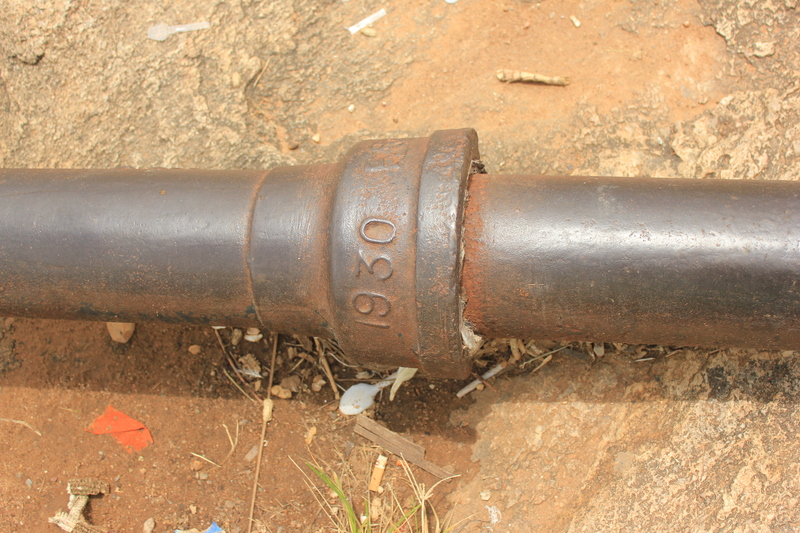 The iron water pipes that run down the Peninsular Gneiss are remnants of the water supply system that existed during the time of the British Raaj. They possibly carried water to the house of the Director of Horticulture and the various buildings in the gardens. A trough in the Peninsular Gneiss was the site of a quarry. Fortunately, the quarrying did not go on for long. The deserted quarry made way for a pond with all the rain-water getting accumulated there. The pond was later de-silted and made way for a large garden dump. Broken wood, fallen trees, dry leaves and more made their way to the dump. As years went on, the dump changed to a mini-forest which stands even today albeit surrounded by lot of waste left by visitors. Our next stop was amidst a cluster of rocks a little away from the Peninsular Gneiss. 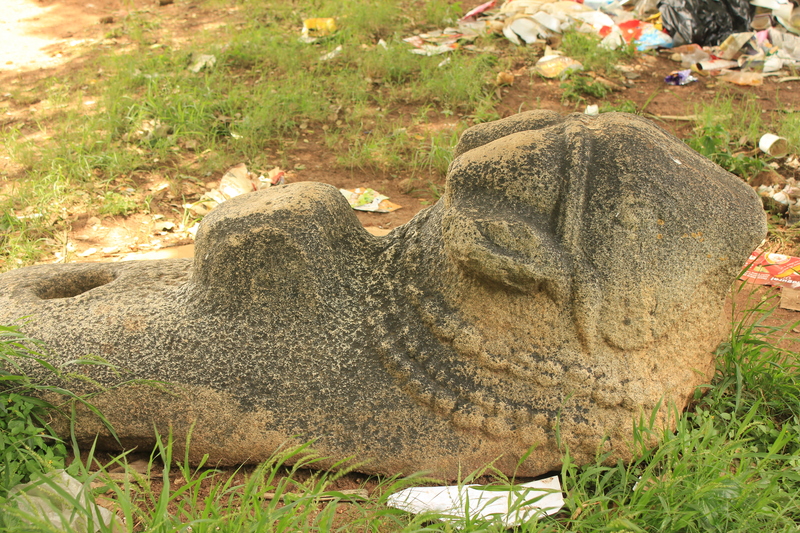 Close by, lying in utter neglect are a Sati stone tablet and a Nandi idol carved from stone. The Sati stone depicts a lady committing suicide. The lady in all possibility was the wife of an Indian soldier who died. 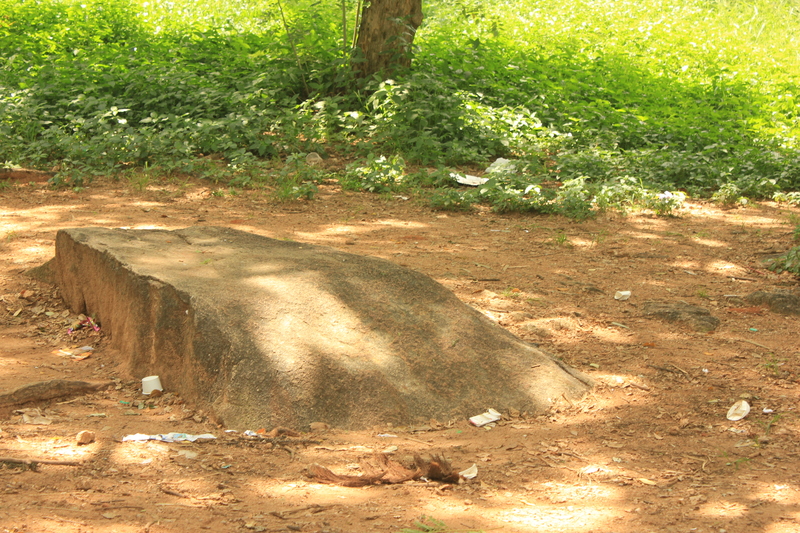 Another such Sati stone can be found at the Gokhale Institute of Public Affairs in Basavanagudi. The picture below is of the Dr M. H. Marigowda Smaraka Bhavan. 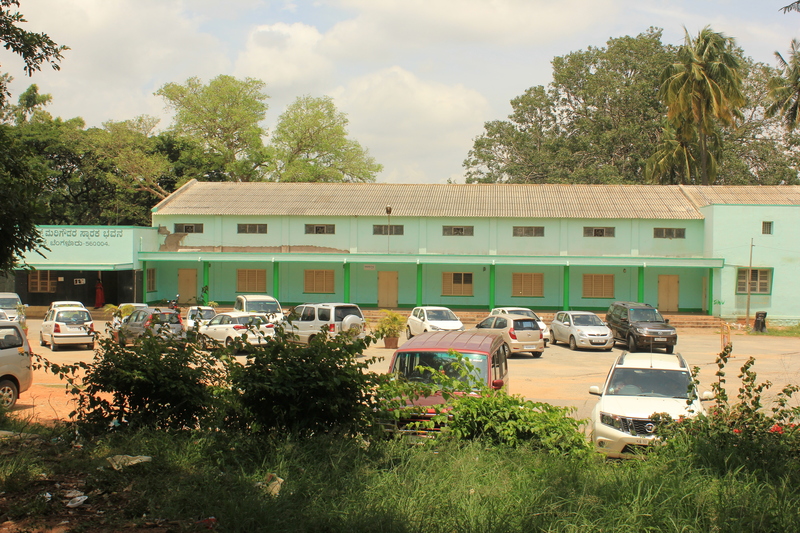 The place was once a venue for functions like weddings and birthdays. Today, it is a conference venue for horticulturists. 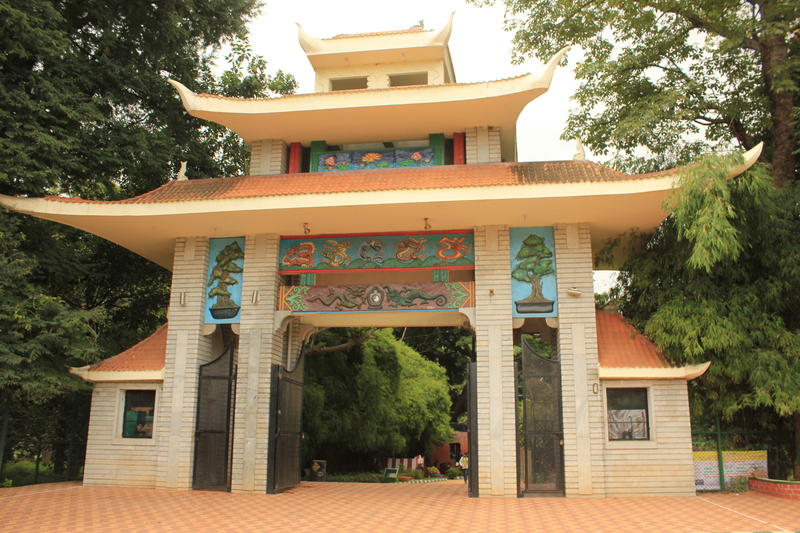 The colourful Japanese arch is a relatively new addition at Lal Bagh. It was constructed around 2002 after Bangalore-based bonsai expert S. Srinivas donated his prized collection of over 700 bonsai trees to the gardens as he was moving to the United States to be with his son. The bonsai garden houses an astonishing variety of dwarfed trees some of them more than 30 years old. According to the walk leader, this temple at the Bonsai Garden is definitely an ancient one going by the stone tablets. 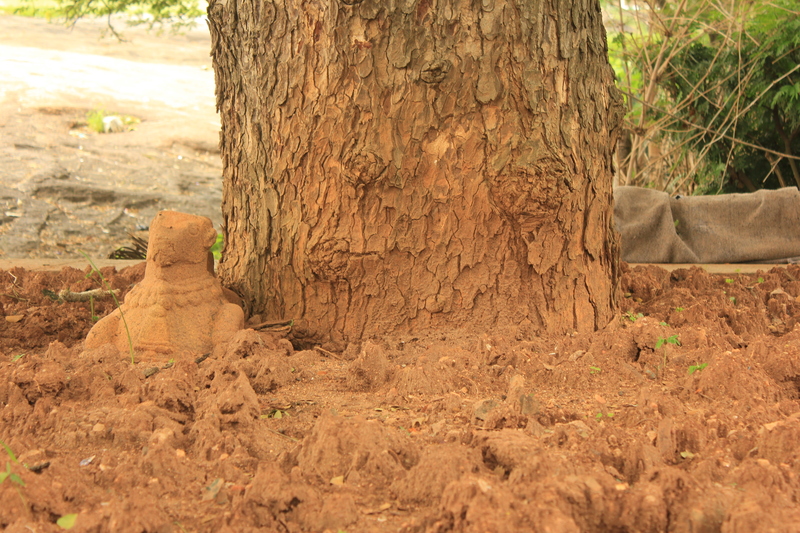 Outside the Bonsai Garden we noticed another Nandi idol. The Nandi idols are probably from an ancient temple which once existed in the vicinity. 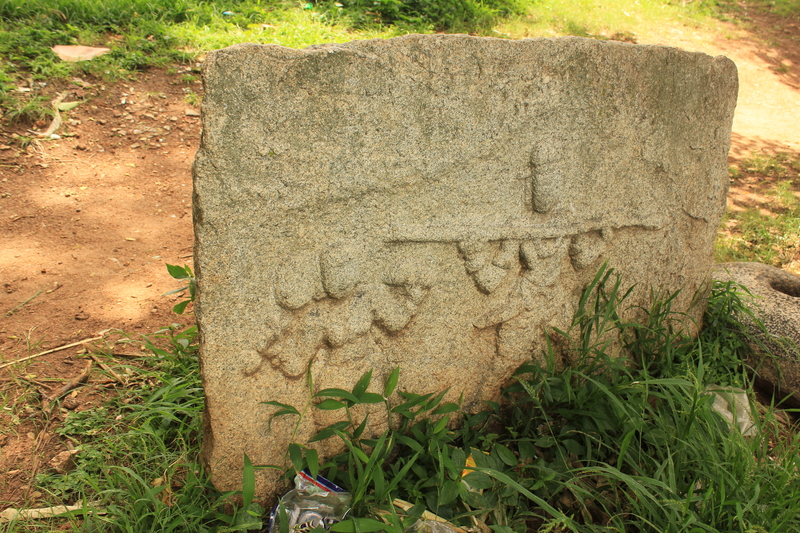 This little post is all that remains of a toll gate system that was in place when vehicles plied through Lal Bagh. The area behind this fence was the Deer Park. And these are antique lamp-posts that date back to the time of the British Raaj. The idea of having decorative railings like these was conceived by Gustav Hermann Krumbiegel. You can find similar railings in Cubbon Park too. The celebrated Glass House under whose aegis the bi-annual flower shows are held was modelled on the lines of the Crystal Palace at London. Built in the late 19th century, the Glass House is a conservatory that was designed to house exotic species of plants. Over the years, the Glass House has undergone quite a few makeovers. The Republic Day and Independence Day Flower Shows are a brainchild of Rao Bahadur Javariah and have been a huge success year after year. 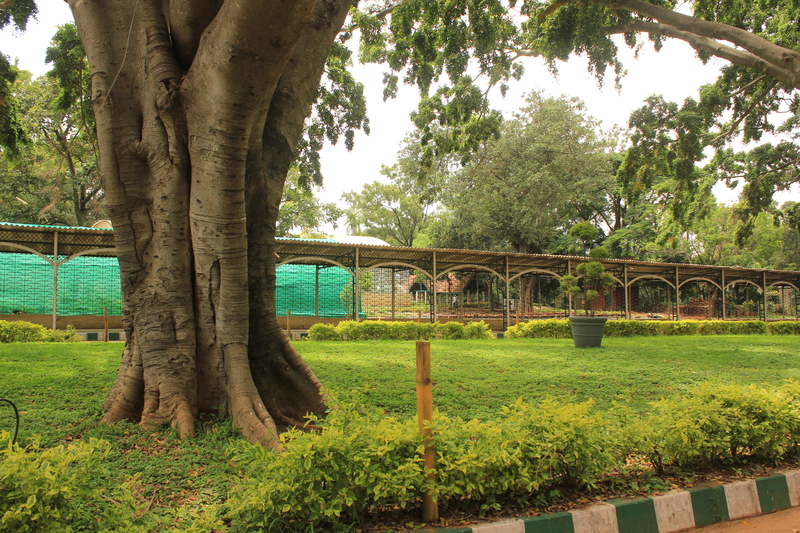 The Glass House was also used to house a lot of functions which were stopped after protests from wildlife enthusiasts. The soirees that sometimes went on till late in the night led to pollution and became a nuisance to the birds. 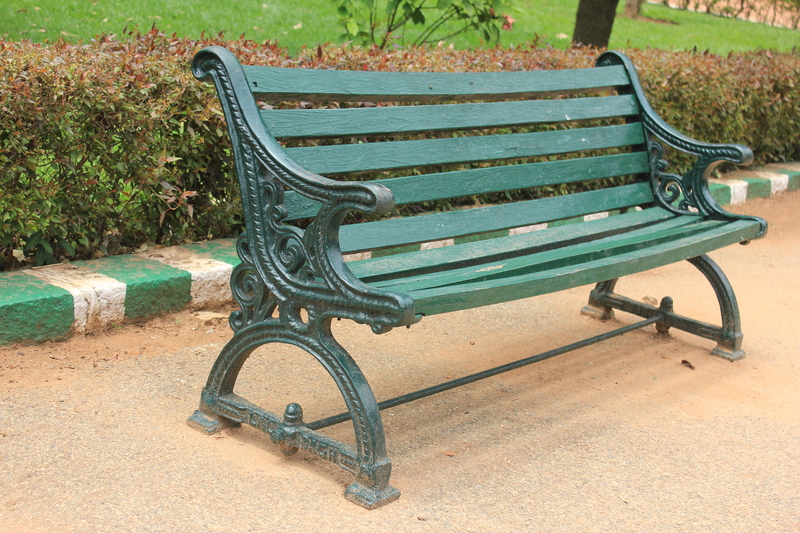 This antique bench at the Gardens is hard to miss. 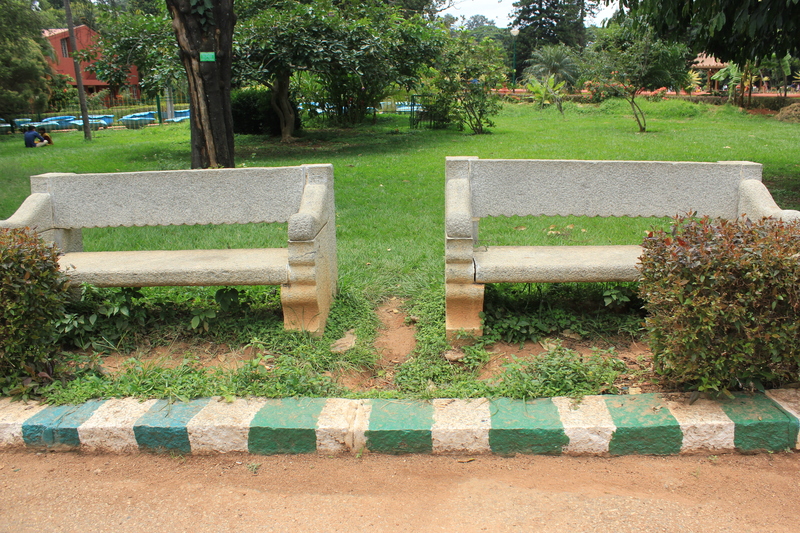 A similar one can be seen at Cubbon Park. 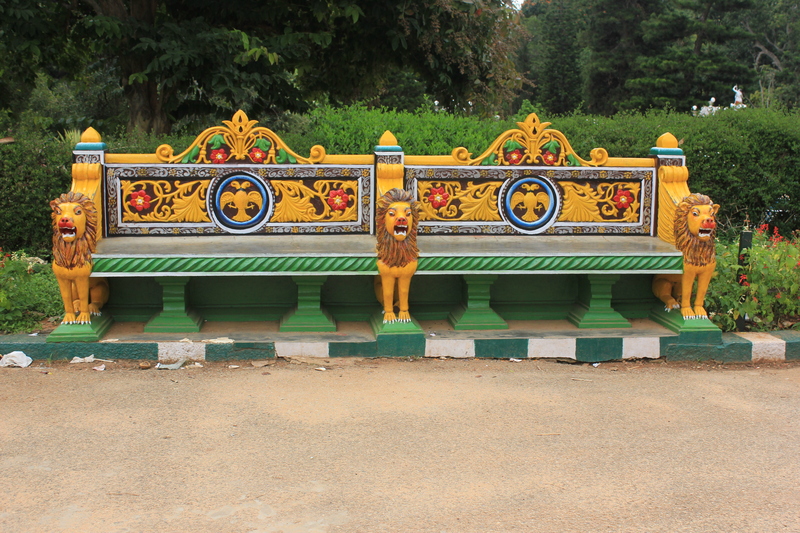 Sculptures of lions similar to the ones below can be seen at Cubbon Park too. The fountain is another remnant of a glorious past. And here are some more antique benches. A mango tree planted during the time of Tipu Sultan. It is at the beautiful band-stand that you get a clearer idea of the Chahar Bagh. The central edifice is the seat of God or Al-‘Arsh and the meeting point of four rivers – a river of water, a river of milk, a river of wine and the last one a river of honey. The Char Bagh is also symbolic of Islamic heaven. In the case of the bandstand, the edifice is the seat of God and the four mud paths leading to it are symbolic of the four rivers. 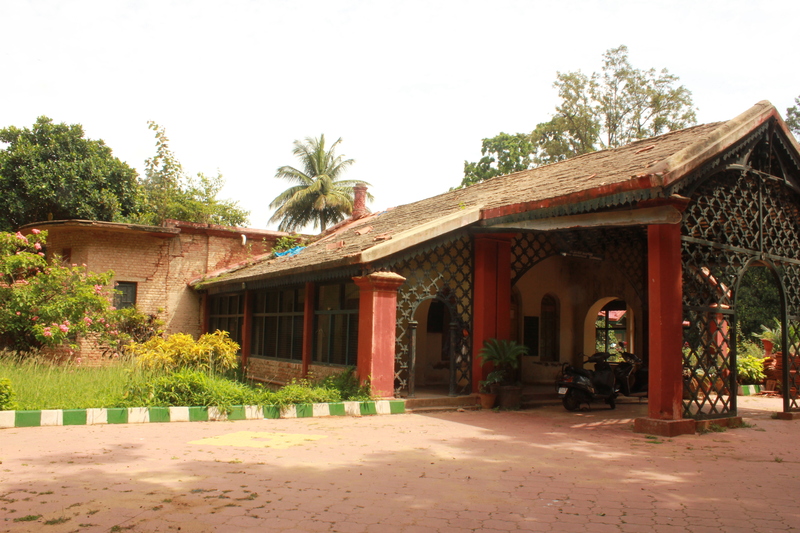 This building which housed the aviary is a picture of neglect and the adjoining guard room too. When the aviary was functional, the guard room served as a ticket counter. Another picture of apathy is the Krumbiegel Hall which has seen better days. If only ASI could do something about these buildings. 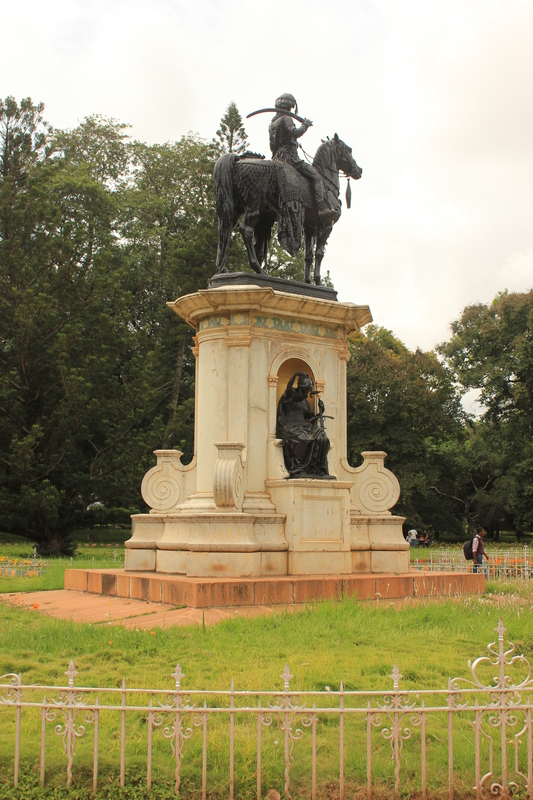 This statue of Chamarajendra Wodeyar was carried all the way from Mysore and installed here. 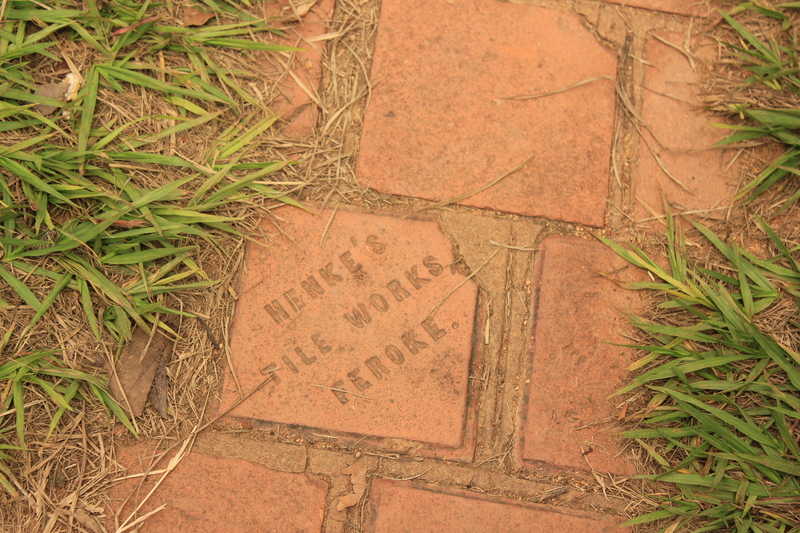 Here’s a path with embedded tiles possibly from an old building. The tiles are from Feroke, Kerala and manufactured in a factory set up during the time of Tipu Sultan. The Directorate of Horticulture building looked neat and well-maintained when compared to the buildings that we saw earlier. But the Horticulture Library building was again a picture of neglect. 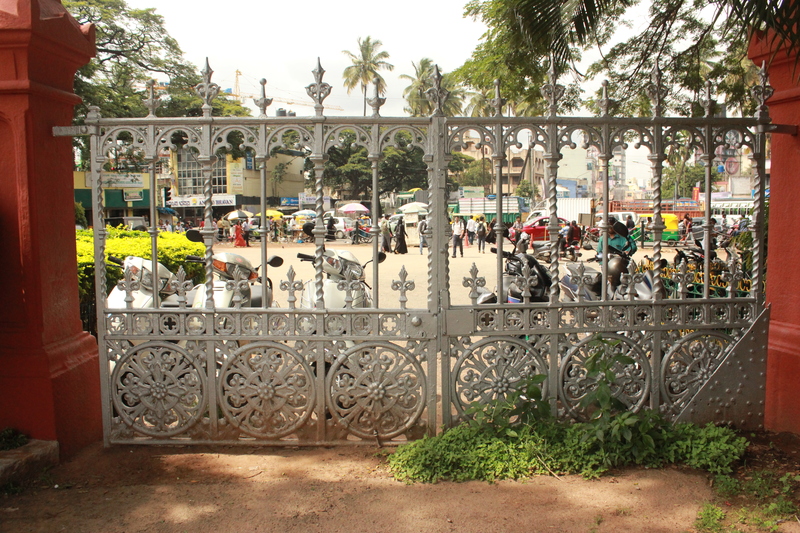 These large gates at the main entrance of Lal Bagh also date back to the British Raaj. The walk continued outside Lal Bagh, down Bada Makan Road in the vicinity. We were shown the house of Tipu Sultan’s descendants. The entire road is otherwise dotted with workshops of all kinds. At the end of the road is a madrasa and in front of it a massive well. 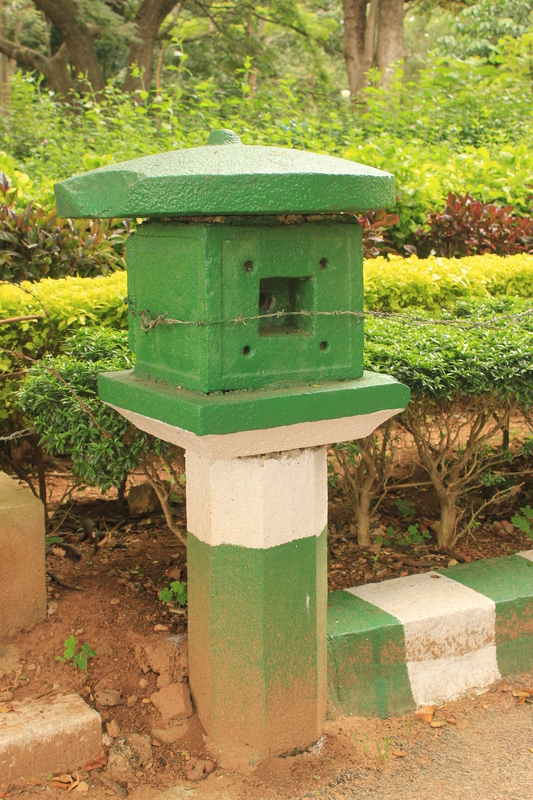 The well was constructed in the early 1900s when there was a drought in the region. U-shaped stones along the periphery of the well added to its look. But a large net across it was an eyesore. 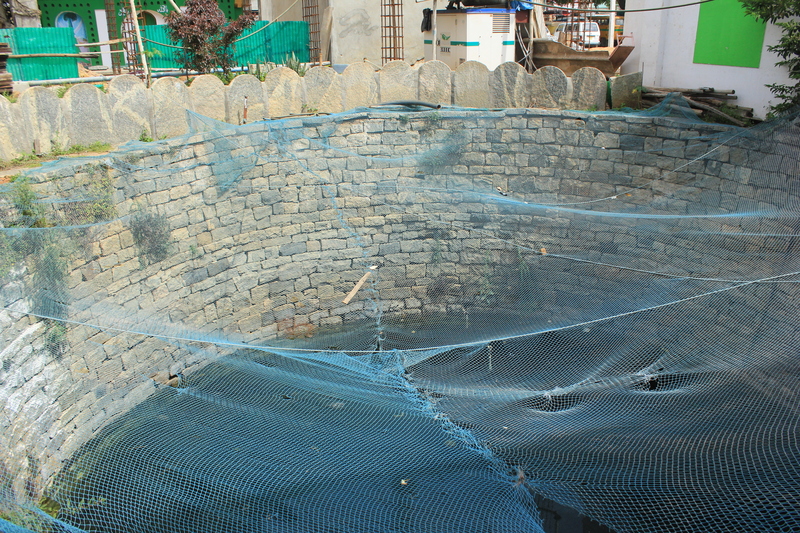 The net has been installed to keep away birds and bird droppings as the water is used for domestic purposes. Our next stop was a stone’s throw away at the dargah of Hazrat Attah Ulla Shah Shuttari Qadri, the spiritual teacher of Hyder Ali. 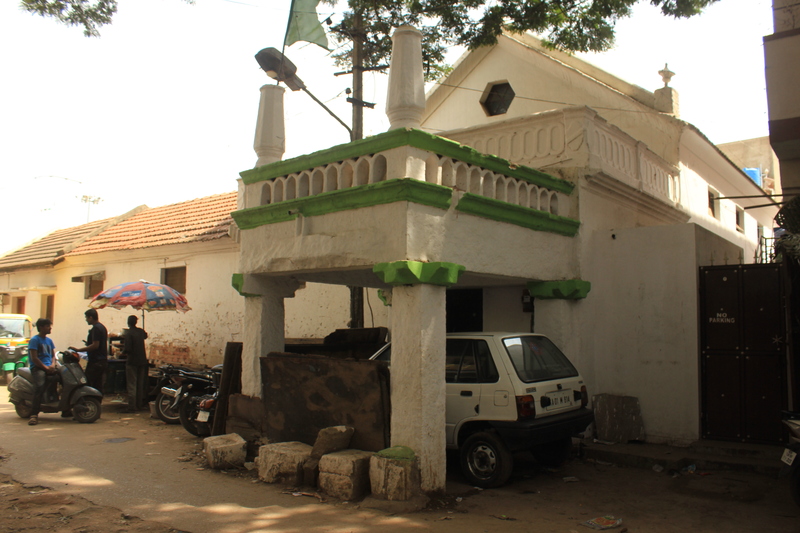 The architecture of the dargah was typical Vijayanagara style. 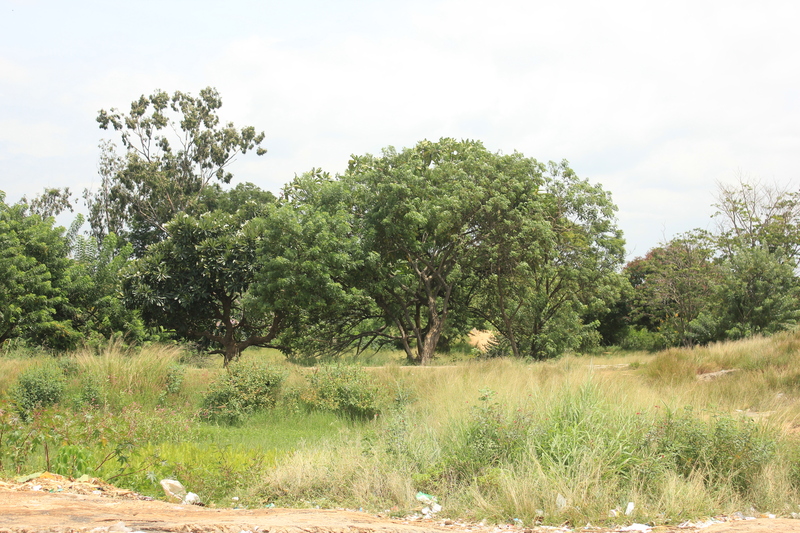 As we moved along H. Siddaiah Road, our guide repeated the question that was asked earlier. Why did Hyder Ali decide to have a garden outside the Pete (fort) and Palace. In all probability the garden was a memorial to his beloved teacher whose dargah lies just outside the garden! Food for thought! And thus the walk ended on that serene note. This entry was posted in Heritage, Photography and tagged broken Nandi idol, Char Bagh, dargah of Hazrat Attah Ulla Shah Shuttari Qadri, Dr M. H. Marigowda, Gustav Hermann Krumbiegel, Hyder Ali, Krumbiegel Hall, Lal Bagh, Lal Bagh history, Rao Bahadur Javariah, Sati stone, Sri Kolada Mutt Mahasamsthana, Tipu Sultan. Bookmark the permalink. Wow! That’s a lot of information. Very well-presented. Thanks.